“It’s a safe race, not a space race”. 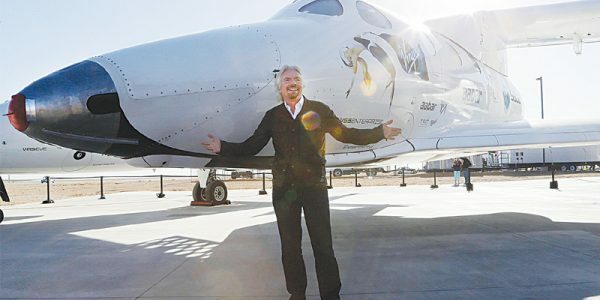 (Sir Richard Branson introducing Virgin Galactic). 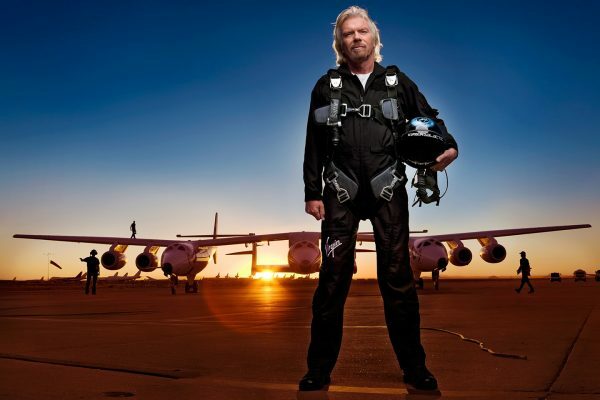 McLachlan Travel Group was the first company in the world accredited to represent Sir Richard Branson’s Virgin Galactic, and to work towards fulfilling his dream of making space travel available to everyone. 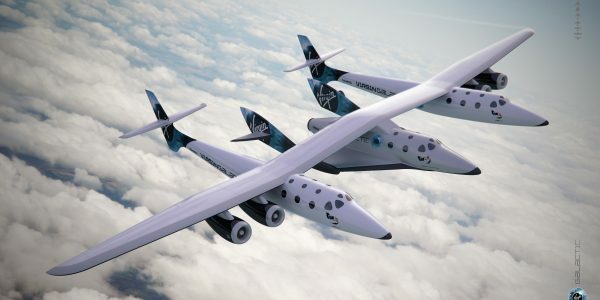 In its first year of operations, Virgin Galactic expects to carry more people into space than have previously gone there in the entire history of the space industry. The Virgin Galactic spacecraft first flew in 2004 when it’s designer Burt Rutan won the X-Prize for the first private person to send a manned craft into space, return it safely, and repeat the mission using the same spacecraft within two weeks. The Virgin Galactic Space Station is in New Mexico, with much of the testing done in Mojavi. The spacecraft, with its six passengers and two crew, is carried aloft by a mother ship, and released at around 50,000 feet. It then ignites its rocket engine and travels vertically at a speed of 22,000 feet per second – faster than a bullet. It only takes around 70 seconds to reach true space, when the rocket engine is switched off and the passengers (now officially astronauts) release their seat belts and float out into the cabin. In one direction through the over-sized windows they will see the deep blackness of space, with its stars more brilliant than passengers have ever seen before, and in the other the blue rimmed curvature of the earth. After a few minutes micro gravity starts to take effect, so the passengers return to their seats for re-entry, which people who’ve done it describe as possibly the most amazing part of the journey as the sky goes through myriad shades of black, indigo, purple and blue. At around 70,000 feet the wings are engaged to flight mode and the aircraft glides in to land. This is a true journey into space, not just a high-altitude flight. NASA defines an astronaut as any person who has passed the Karman Line at 330,000 feet (the start of true space). The Virgin Galactic space craft goes beyond that. Your McLachlan Travel Group Virgin Galactic team has undergone extensive training, including G-Force training in the Virgin Galactic simulator in Pennsylvania. Who can go? One of the challenges was assessing who could be fit enough for the journey, when previously the only people who’ve gone to space had the fitness of Olympians. What would be the impact of space travel on children and older people? Yet, during initial testing, the oldest person to successfully complete simulator trials was Professor James Lovelock (the father of climate change modelling) in his 80s, and the youngest was 22 (Sam Branson). Only four people were rejected due to health reasons, and two of those were invited to return after addressing their condition. How much training is required? Although there are several opportunities to prepare mentally and physically for the journey such as taking a flight in the Zero-G parabolic weightlessness aircraft in the USA, and in the simulator at NASTAR in Pennsylvania, none of these are essential. You’ll receive several days preparation at the space port including time in a replica of the spacecraft to familiarise yourself with the experience in advance. When will commercial flights begin? As Sir Richard says, this is a safe race, not a space race, so commercial flights will not commence until specified safety standards have been met. Although many hundreds of people have signed up (early ticket numbers are in big demand) the date of the first commercial flight is yet to be announced. We thank our future astronauts who have booked for their patience.